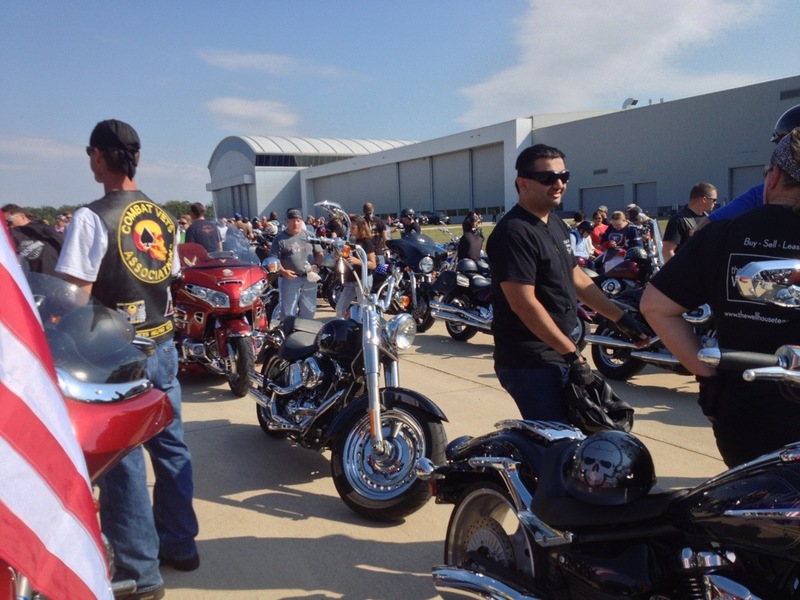 I had the privilege this past Sunday, September 8, 2013, to participate in the Rattle the Runway Ride here in DC, commemorating those whose lives were lost in the 9/11 terrorist attacks. 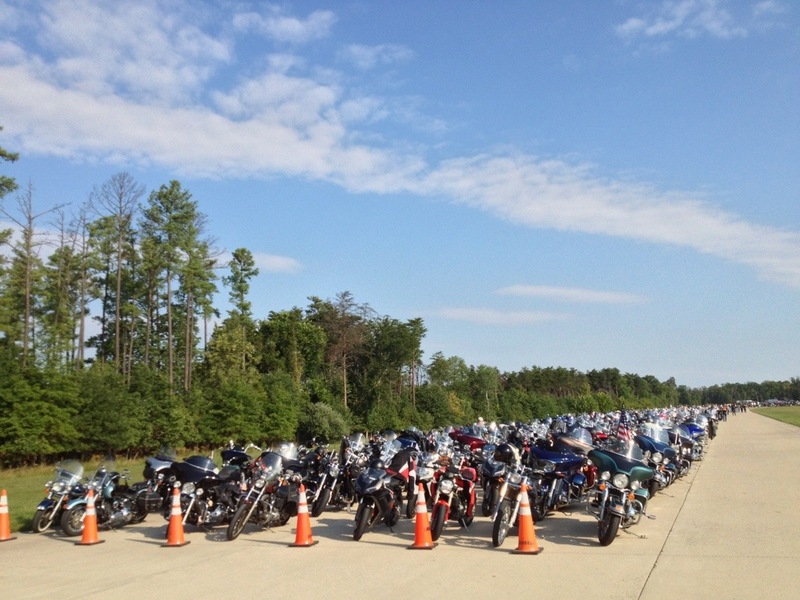 The ride started a Dulles International Airport with a blast down one of the taxiways. Originally, a runway was used (hence, Rattle the Runway), but our friends at TSA aren’t too keen on that anymore. 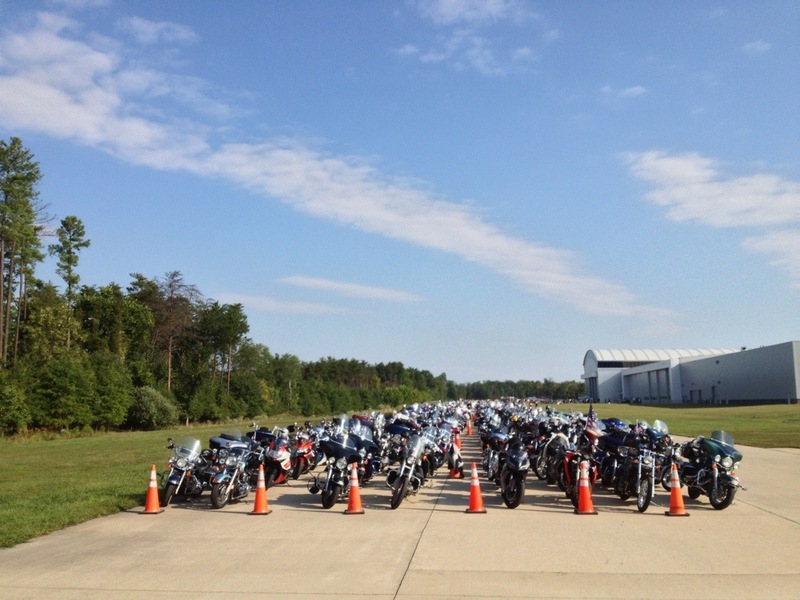 I do have to give the IAD airport authority props: not one biker was searched before coming on airport grounds. Rattling the Taxiway was pretty awesome, and right about ninety miles an hour, I heard the voice of my old flight instructor in my head admonishing me for “taxiing” faster than a brisk walk. 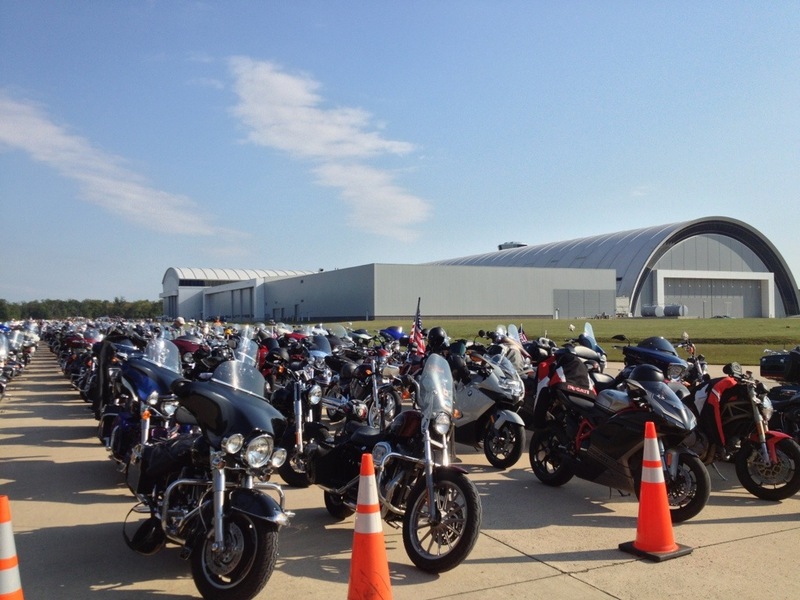 I eased off the throttle before running off the asphalt, and lined up with hundreds of other bikers behind the National Air and Space Museum , where, in addition to historic aircraft like the Enola Gay and the space shuttle Discovery, one of the Dassault Falconjets Big Daddy (aka Capt. Pat Oden) flew back in his early days at a little company called Federal Express. I was extremely fortunate to have my buddy, Yaroslav Brisiuk, join me. 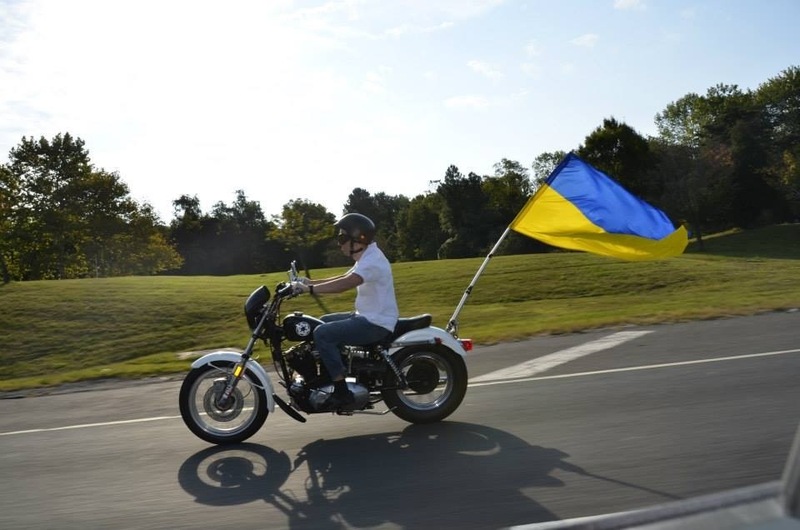 When he’s not riding motorcycles, Yaroslav is helping promote world peace over at the Ukrainian Embassy in DC. 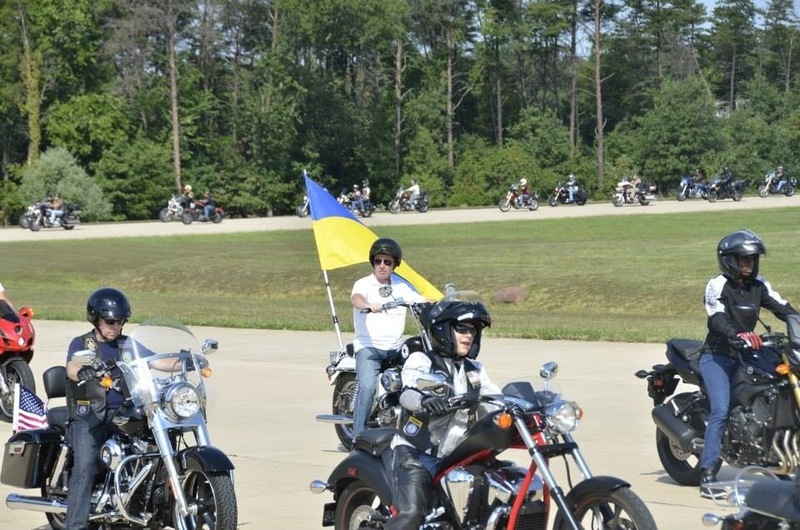 At the Rattle the Runway Ride, he was able to do both, acting as an official representative of Ukraine in commemoration of those lost in 9/11. 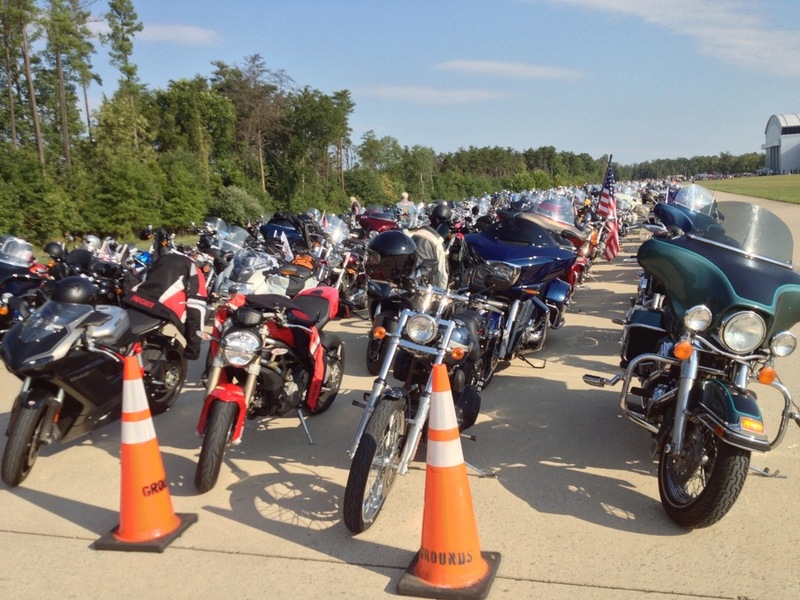 The ride from Dulles to the Pentagon Memorial was both inspirational and brutal. 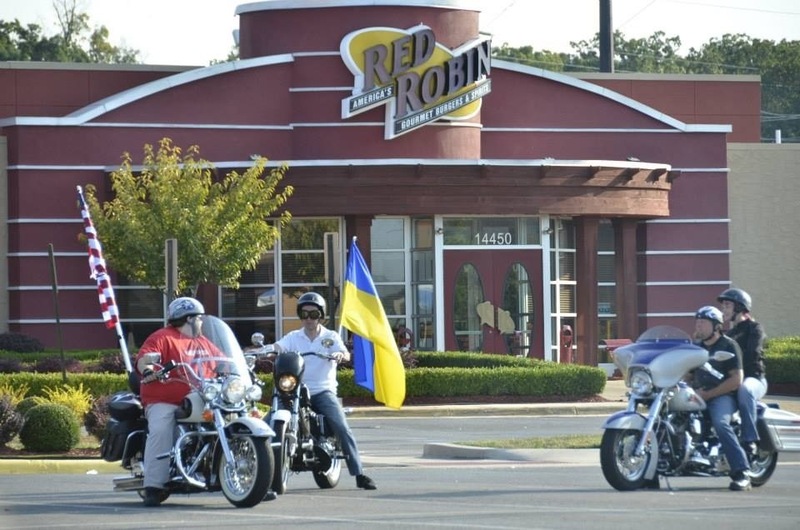 Unlike Rolling Thunder, there were no police escorts, and riders were broken up into groups of a hundred or so bikes led by “ride captains”. Yaroslav and I had hoped to stick together since it was his first group ride, but we ended up getting split up about a mike apart in one group. 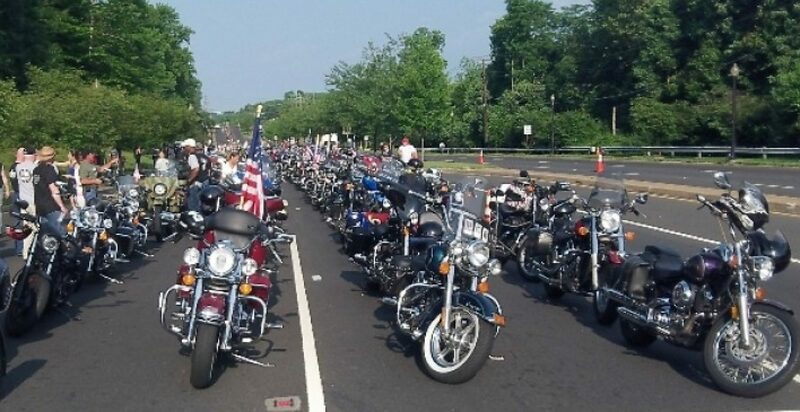 Since drivers in DC (especially taxi drivers) have zero respect for parades, funerals or biker gangs, the ride to the Pentagon was a constant battle to keep Sunday afternoon traffic (which is substantial on the Beltway) out of out lanes. Some of the bikers also apparently lacked experience (and common sense), as exemplified when one biker about half way through the pack decided to calm it a day half way through the ride. 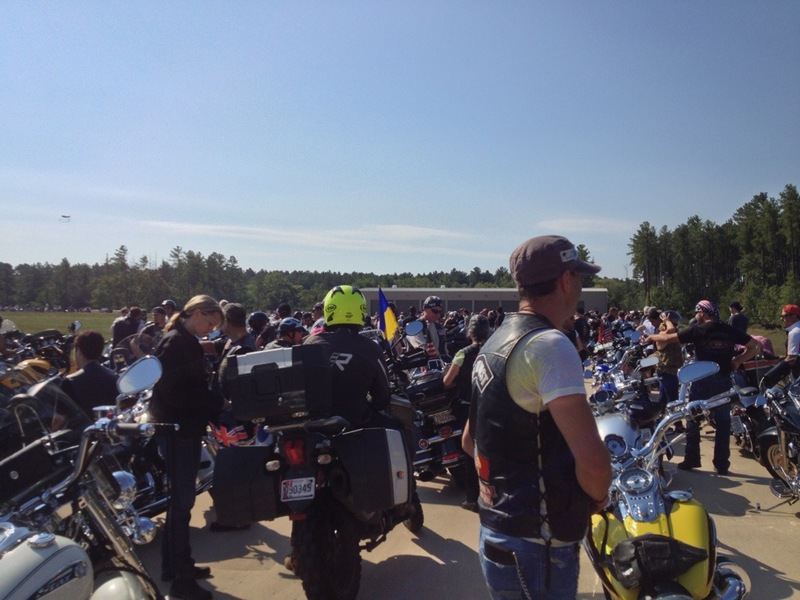 He waved his goodby and pulled off the highway onto the exit ramp, only to be followed by thirty lemmings who were only watching the bike in front of them, rather than watching where the ride captain was leading. I saw what was happening and managed to stay in course with the ride captain. I managed to hook up with Yaroslav again when the ’77 Ironhead he was riding ran out of gas and he had to pull over to the side. 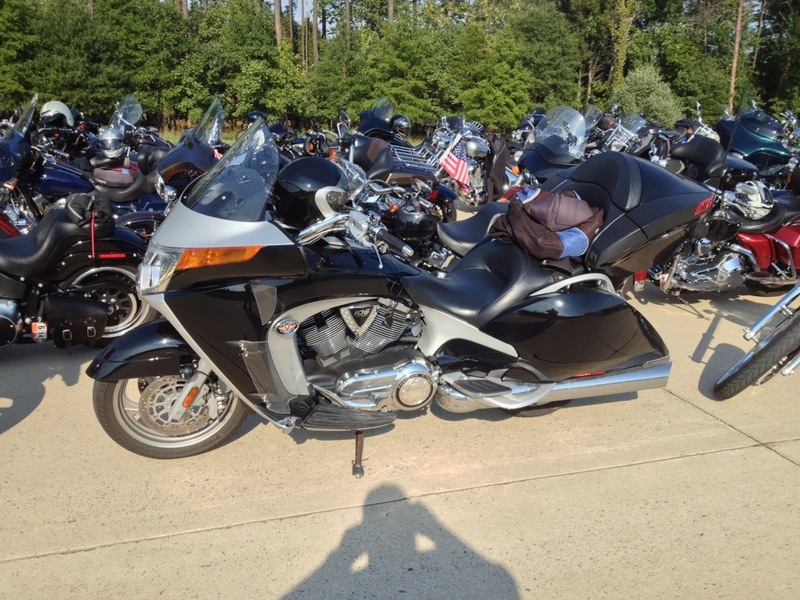 That Sporty only has about a ninety minute range, and the twenty-seven mile ride out from home to Dulles, the long idling while waiting for the ride to start, and the thirty mile stretch to the Pentagon ate up the tiny two gallon tank pretty quickly. 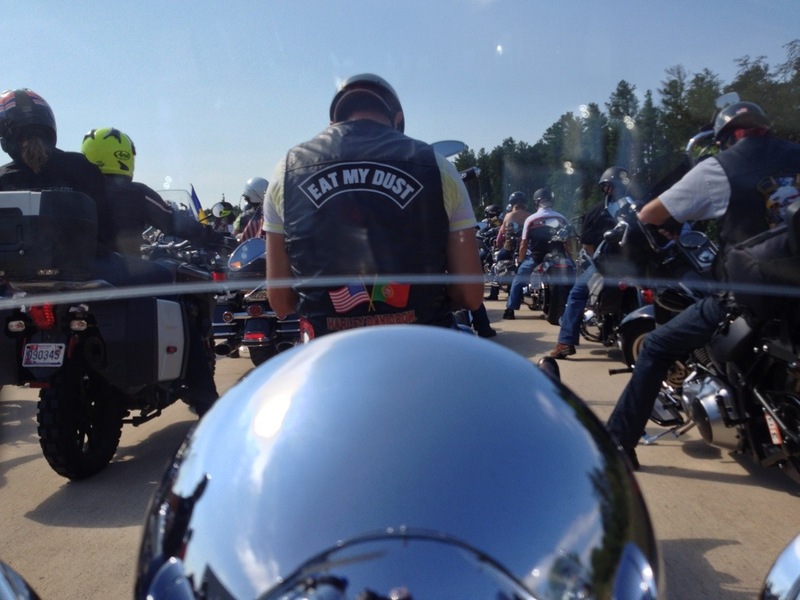 By the time I caught up to him, he’d switched to reserve, and we were on the road again. I was concerned that range would be a problem for the Sportster, so I’d borrowed a backup tank that fit in my saddle bag from my friend Paul. I didn’t think Yaroslav would make the Pentagon Memorial on reserve, so we pulled into a parking lot in Pentagon City and gassed him up from the reserve tank. 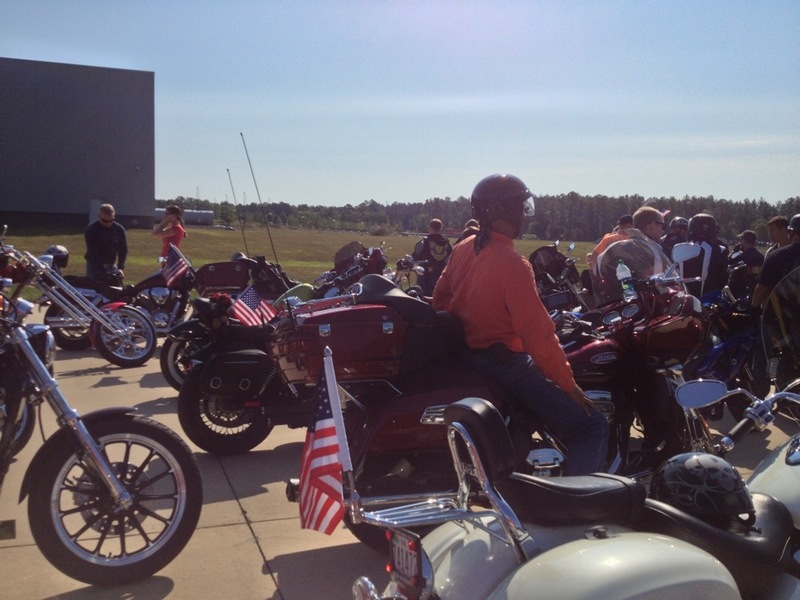 We would have been on our way, except the Sporty wouldn’t start. I’ve had problems with the generator on that bike before, so I want too surprised that several startups had drained the battery and that if wasn’t recharged. 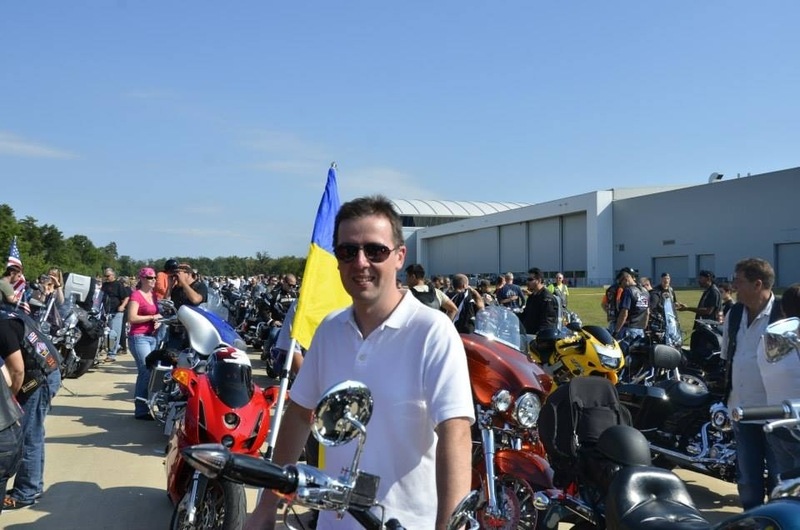 Yaroslav’s always a good sport, and apparently in decent shape since he had to push me on the Sporty at a run (the was no way I was going to run behind it) across a flat parking lot until I had enough speed to roll start it. We made it to the Pentagon Memorial without further incident, and decided to head home. 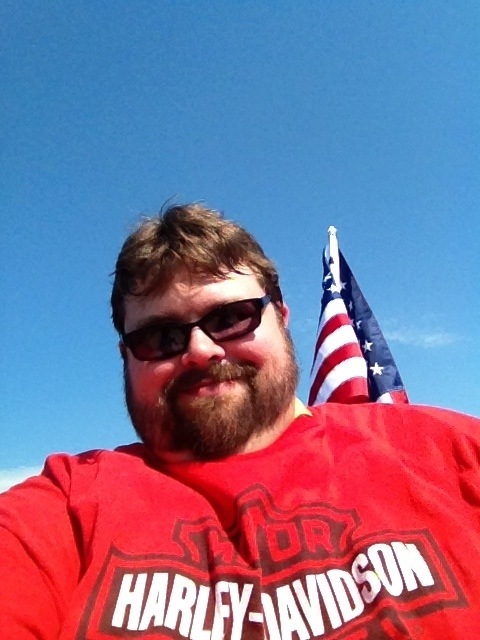 It’s only about a four mile ride from the Pentagon to my place, and it was fairly in eventful until the six foot flag pole attached to my Heritage flying an American Flag decided to break. It was a relatively slow flag pole failure thanks to my liberal use of zip-ties, and I just managed to get to side of the road moments before Old Glory would have started dragging down the interstate. Yaroslav and I finished up our ride at Illusions Thai Cafe in Mark Center, enjoying cold beer and a monster sashimi boat.